Dal Makhani is a very popular Punjabi lentil dish that is made with whole black lentils (also called urad dal) and red kidney beans (or rajma). It has always been one of my favourite items on the menu of any Indian restaurant but not all places serve the same dish. Our favourite version is the one served in a typical Punjabi restaurant right around the corner and nothing can ever beat that taste, as per moi! The traditional, authentic Dal Makhani is slow cooked for several hours or even over night and has a very rich, creamy texture as it is cooked with butter and cream. So this may not be the ideal lentil dish that can be served every supper! Here in this recipe I am making my low cal version of this dish by reducing butter and substituting cream with milk. It still retains the creaminess but the richness is definitely not there. To make it rich simply add butter and heavy cream instead ;) I have always tried making Dal Makhani in so many different ways, used so many different recipes but there is always something lacking. My Punjabi colleague once told me that the secret to a delicious Dal Makhani lies in the tempering or the tadka. That's what makes all the difference! After a lot of trials and experimenting I have finally settled down on the below recipe as a healthy yet tasty way to enjoy Dal Makhani at home. Whenever we crave for the rich, creamy version we simply go to our favourite restaurant as there is still no substitute for that! Take the drained lentils in a pressure cooker, add some salt and pour two cups of water. Cook till the lentils are soft and mushy (takes around 7 to 8 whistles for me). Set aside. Heat butter and oil in a kadai. Add the cumin seeds and fry well for few seconds. Then add the chopped onion, garlic, green chilli and ginger paste and saute well for few minutes till they begin to brown. Add the tomato paste, tomato puree and the dry spices - turmeric, red chilli and garam masala along with some salt. Fry well till the oil begins to appear. Add milk and stir well. Followed by the cooked lentils and combine well. Let it simmer on low flame for about 15 minutes. Keep stirring from time to time. Do a final taste test to adjust the salt. If it is too thick you can add some more water or milk and bring it to a boil. Garnish with chopped cilantro and serve hot with rotis. Low calorie version, still it looks so delicious and tempting..
this is mt favorite curry. Just love it. Love all sorts of lentils. This dah looks so yum! 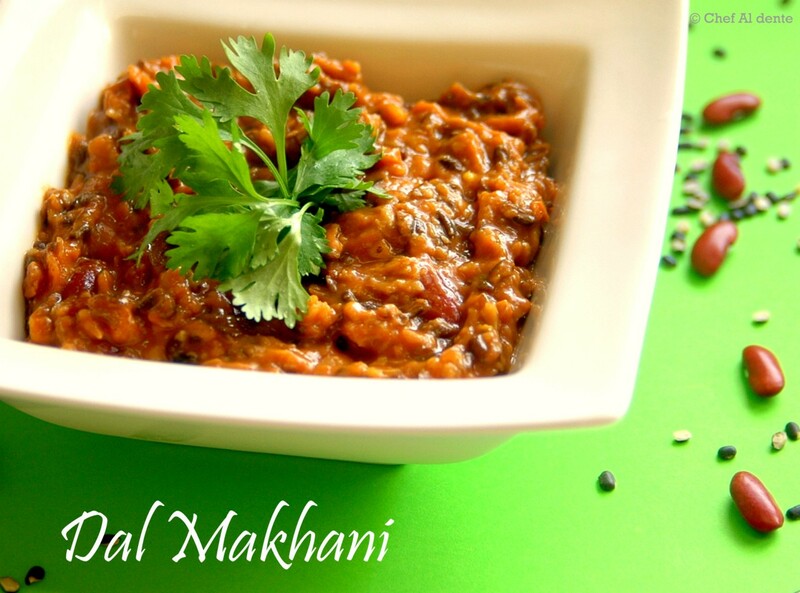 i posted yesterday myversion of dal makhani, do check it out. yours look tempting.